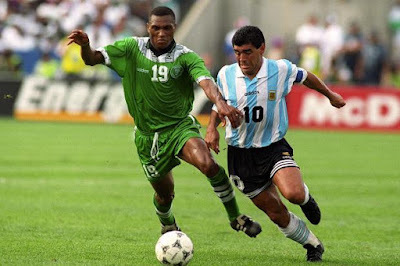 Nigeria had gone through a very difficult qualifying series for the USA 94 World Cup in which Clemens Westerhof used about one hundred players in all. By the time we played our last game in Algiers against Algeria, it seemed every one knew the team, at least the eleven that would start. However, Westerhof had a problem. First choice left full back, Ben Iroha was injury prone. There was also the little matter of a replacement for long standing captain, Stephen Keshi who on the strength of his current performance may not have been good enough to go to the World Cup, but “had to” because of his leadership qualities and may be as compensation for the time he had spent with the team. Stephen Keshi had broken into the Green Eagles with a debut against Norway in a friendly game in Oslo on August 12, 1981 that ended 2-2 (Felix Owolabi, Ayo Ogunlana). Though he played only one World Cup Qualifier for Espana 82, the 2-0 loss in Lagos to Algeria as a late substitute for Christian Chukwu, he was an integral part of the Eagles’ failed qualifying campaigns in 1986 and 1990, so he probably deserved to be at the World Cup. But Westerhof, knowing he was going to the World’s biggest stage needed somebody he could trust in center back. He already had Okechukwu Uche and Uche Okafor and the duo of Austin Eguavoen and Emeka Ezeugo who could fill in their, but the media had started a campaign for somebody else, a defender they thought should be in the World Cup party. For Ben Iroha, Westerhof had tried Uche Okafor and Nduka Ugbade in the left full back role before but may be he ended up thinking Okafor was best suited in Center Back and Ugbade was not good enough for the World Cup so he went scouting. Mike Emenalo was part of the Enugu Rangers team that won the Nigerian League in 1984 as well as a Green Eagles player before he moved to the USA. He last featured for the Green Eagles in 1986 World Cup Qualifiers playing against Kenya in Nairobi, Nigeria won 3-0 with goals from Fatai Amao, Hussein Khari (own goal) and Rashidi Yekini. Emenalo also played in the 3-1 reverse fixture win in Lagos where Dahiru Sadi, Rashidi Yekini and Yisa Sofoluwe scored. He then played in the ill-fated games against Tunisia where Nigeria won 1-0 in Lagos (Okey Isima) and lost 2-0 in Tunisia and then he traveled out of the country, many believing he was in the USA to school and then play in the semi professional leagues there. After that, Emenalo disappeared and was almost completely forgotten by Nigerians until he returned on May 15, 1994 in a friendly game against Suriname, just a few weeks to the start of the World Cup. He actually was at the Boston University from 1986-89 and then played for Belgian club, Molenbeek until 1993 before moving to Eintracht Trier in Germany, where he was when Westerhof picked him for the World Cup party. At that time, information dissemination was not like it is now. There was no internet and of course no social media so it was really difficult to tell how Westerhof knew of a fellow called Mike Emenalo, how he scouted him and how he became part of the Super Eagles with less than two months to the World Cup. He eventually made the team to the USA. Chidi Nwanu started as a player of Enyimba in 1983 and then moved through Spartans, then ACB before “disappearing” to the lower rungs of the Belgian league. In 1988 he was part of Nigeria’s disastrous team to the Olympic Games in Seoul but after that nothing much was heard of him as he worked his way up the top in Belgium, playing for Beveren and then Anderlecht. During the qualifiers for the World Cup for USA there was a media campaign in Nigeria for Westerhof to give him a recall but the Dutchman rebuffed all entreaties. The campaign for Nwanu to be called up at a point became so bitter that it was suggested in the media that certain players in the team (referring) to Stephen Keshi were afraid to let Nwanu into the team for fear of losing their place. However, on the 15th of May, 1994, Nwanu featured for the Eagles against Suriname in a friendly match and subsequently made the team to the World Cup. Chidi Nwanu should thank the Nigerian media who put so much pressure on Westerhof before he got his recall. Not that he was a poor or average player, but somehow the coach just did not seem to want him in the team. Nwanu eventually played all four games for Nigeria at the World Cup and put up five star performances in them. Emenalo played three, starting from against Argentina, after Ben Iroha got injured (as usual) after the opening game against Bulgaria. To determine the most tragic World Cup in terms of preparations that Nigeria has been in, one would be hard pressed to choose between 1998 and 2002. After an above average outing in USA where the Super Eagles were voted the 2nd most entertaining team, Nigerians probably thought it was time to win the World Cup. From the first World Cup Qualifying match in 1997 to the competition proper, Nigeria had four coaches, Shaibu Amodu, Monday Sinclair, Phillipe Troussier and Bora Milutinovic, a shambolic way to go through World Cup Qualifiers, but the Nigeria Football Association and coach Bora Milutinovic were not done as it was now time for a player merry go round. The team was disjointed from start to finish as Amodu was sacked after a draw on the road to Kenya. Was that really why he was sacked or was it because he challenged the sports minister in an interview? Monday Sinclair was just stop gap for Troussier, who after qualifying the team for the World Cup, a section of the media, the controversial group in Lagos started a campaign against him not being a “World Class Coach” whatever that meant. His “strange” 3-5-2 formation was also used as ammunition for his sack as these same group of editors and football writers claimed the Nigerian players were not used to it. It was funny because at that time the spine of our national team, Jonathan Akpoborie, Sunday Oliseh, Taribo West, Victor Ikpeba, Wilson Oruma etc played in Leagues and clubs where the 3-5-2 was very popular, but Troussier left and Bora came in, a “World Class Coach” with World Cup experience. Joseph Dosu had an accident while celebrating Nigeria’s qualification for the World Cup and was bedridden, Ike Shorunmu got injured in a friendly game before the World Cup and Abiodun Baruwa was deemed to have lost form so was dropped. Rather than stick with Willy Opara who was doing well at Orlando Pirates and Ndubuisi Egbo, then draft in Uche Akubuike at Jasper United as a 3rd choice who wouldn’t get to play anyway, a retired and holidaying Peter Rufai was brought into the team and immediately in a coronation ceremony was named first choice keeper. He featured in the 5-1 drubbing by Holland on June 5, 1998 and the rest is in the FIFA archives. 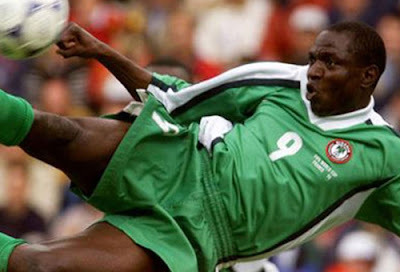 Rashidi Yekini who last played for the Eagles against England on November 16, 1994 also returned in the Carlsberg Cup played in Hong Kong in January 1998 against Hong Kong in a 2-0 win (Yekini, Siasia) and subsequently made the team to the World Cup in France even though he did not play in a single qualifying game. How a player like Jonathan Akpoborie missed out on the World Cup in France in 1998 continues to remain a mystery until this very day. After Nigeria qualified for the World Cup in 2002, the bronze medal winning performance at the AFCON was considered not good enough and the coaches were sacked. Some internal problems also saw a massive clear-out of regulars in the team for some others who may not have naturally been given a look in. Out went the captain, Sunday Oliseh, Finidi George, Victor Agali, Wilson Oruma, Victor Ikpeba etc and in came the likes of Justice Christopher, Bartholomew Ogbeche, Femi Opabunmi, John Utaka, Ben Akuwegbu, James Obiora and Vincent Enyeama. Yakubu Aiyegbeni who was at the top of his game at that time had eye surgery and even though he thought he was fit enough for the World Cup, was not considered by the coach. 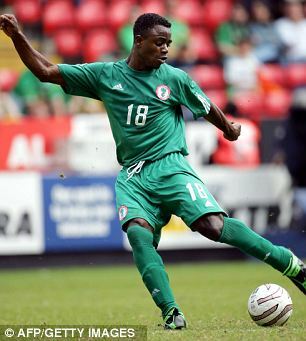 Justice Christopher played just two World Cup Qualifiers and was never considered an integral part of the team while Bartholomew Ogbeche, John Utaka, James Obiora and Femi Opabumi were only called up a few months to the World Cup for friendly games after the planned disintegration of the team by people who did not mean well for Nigerian football. 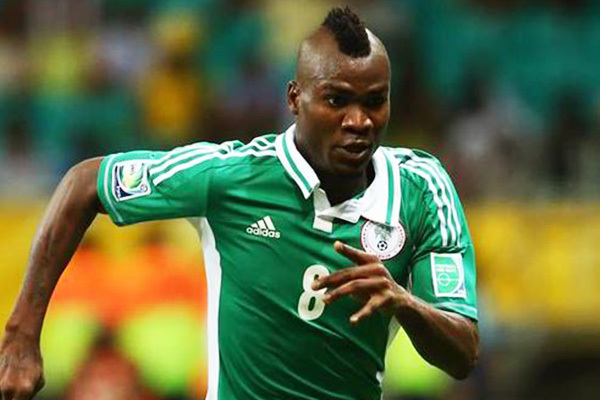 At the World Cup in 2010, Brown Ideye gatecrashed at the last minute coming in for injured John Mikel Obi. Brown Ideye was part of the Nigerian U20 team at the World Youth Championships of 2007 in Canada and was never a part of the Super Eagles, but an injury to John Mikel Obi ensured he got a late call up to the team. He never got a game too. Ideye had never been part of the Super Eagles before then and he even wore the number 10 shirt at the World Cup, a jersey that was never seen on the pitch. 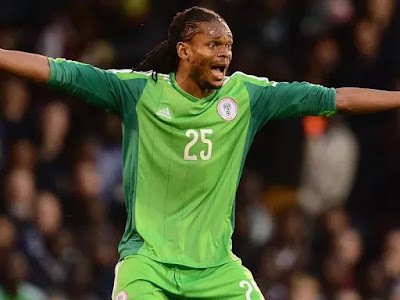 The likes of Rabiu Afolabi, Sani Kaita, Lukman Haruna, Chinedu Obasi, Uwa Elderson Echiejile and Dele Adeleye found themselves at the World Cup in South Africa through means that could be argued to be much more than their performances on the pitch and what they could bring to the national. I remember the Lagos based media hyping Rabiu Afolabi who never played a single World Cup Qualifying game and nicknaming him the Robocop. Afolabi got just one game at the World Cup. Nigerians watched on in horror as the legendary Stephen Keshi almost ruined his good work of the last two years with the squad he named for the World Cup in Brazil in 2014. Out the door went Brown Ideye and Sunday Mba, two players who basically won him the AFCON a year earlier. In their stead, we saw the likes of Uche Nwafor, Michael Babatunde, and Michael Uchebo. Remember, that Osaze Odemwingie who had been dropped from the team during the qualifiers returned to play at the World Cup. The point of these history lessons is to explain what is going on right now in Nigerian media space especially the online and social media is nothing new and has been going on right from pre- 1994 when Nigeria first made it to the World Cup. It’s that time of the year before a World Cup when the campaign to get players into the team is in full voice and Nigeria is the main focus of this piece. 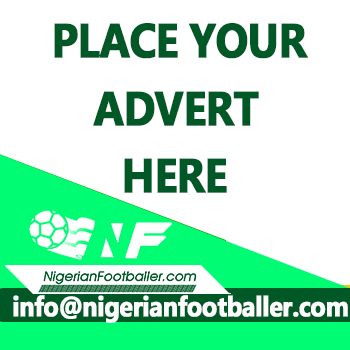 Ever since that draw against Algeria that ended the World Cup Qualifiers with Nigeria firmly in Russia, the media, especially social has been awash with reports of one strange Nigerian player or another vowing to be in Russia or scoring a unique goal or two. Even an appearance these days in Europe guarantees a screaming headline to the PR people who are out there to spin stories about their friends and clients but nothing that happens is new, is it? I actually saw one about a Nigerian playing in the lower rungs of the Argentine League who wants to be at the World Cup. It is that bad. 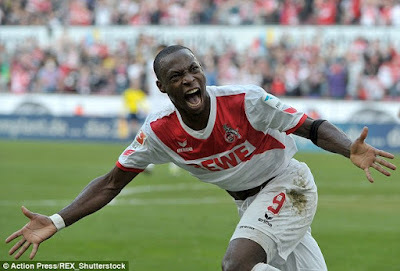 The players themselves are leaving nothing to chance as reports reaching us indicate that Anthony Ujah had left Asia for Germany and Brown Ideye is also on the move, a deal that should be announced soon, both good for the players to enhance their chances of playing at the World Cup. Vincent Enyeama has also moved to Angers in the French 1st division and even though he has repeatedly said he is not ready for a comeback to the Super Eagles, regular football would once again be ammunition for the guns of the #BringBackEnyeama gang. The position of some players on the World Cup bound party also seems shaky because they have been very anonymous at their clubs. Ahmed Musa and Kelechi Iheanacho may be on the books of Leicester City but do not seem to be players of the club as people are gradually forgetting what they looked like the last time they played for the club. Elderson Echiejile has not been in the best of form for Nigeria in the last last few games and may think his place on the plane is not certain yet. Cases have been made for the likes of Joel Obi, Austin Ejide, Dele Aiyenugba, Godfrey Oboabona and Obafemi Martins to return to the team and truth be told, at least three players who did not feature in the last three World Cup Qualifying matches for Nigeria will be in Russia and at least two who did not play at all in them. The media is in full voice while the Spin doctors have gone on over drive. It is all about their clients going to the World Cup, whether they are good enough to be there or not. If Gernot Rohr caves in to pressure, it won’t be because he is a bad manager, no, not at all. Clemens Westerhof, Bora Milutinovic, Adegboye Onigbinde, Lars Lagerback and Stephen Keshi also fell for it. As I watch the drama unfold on Social Media, I will be here hoping that the Super Eagles can at least get eighteen players at the World Cup that can actually play football when called upon. Anything less than that will certainly be disaster for the country once again. 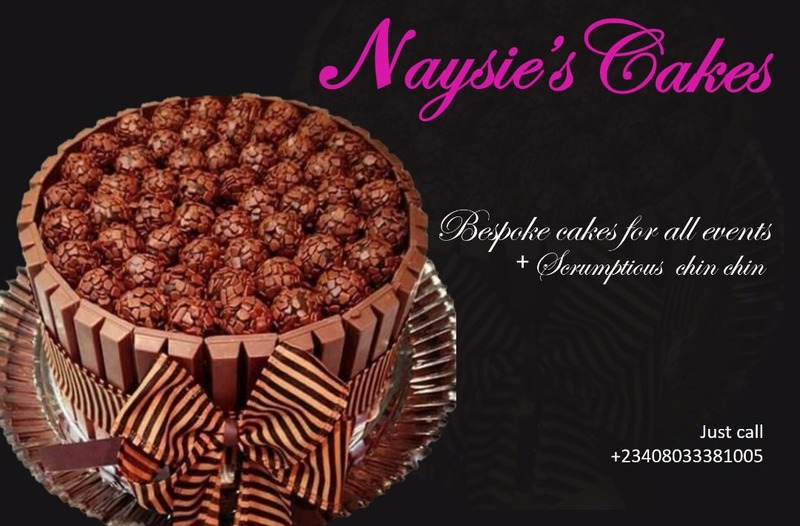 Grab your pop corn as you are about to read about that Nigerian scoring goals in Azerbaijan. Grabs popcorn. Nothing new happens. rinse and repeat. Great piece there man. I do hope we will learn from history and do what is reasonable rather than emotional and mediocre call for inclusion of players who should not be mentioned for the world cup party. Nigeria is on the march again.